Andouille sausage made from heritage-breed pork humanely raised with no antibiotics or hormones. 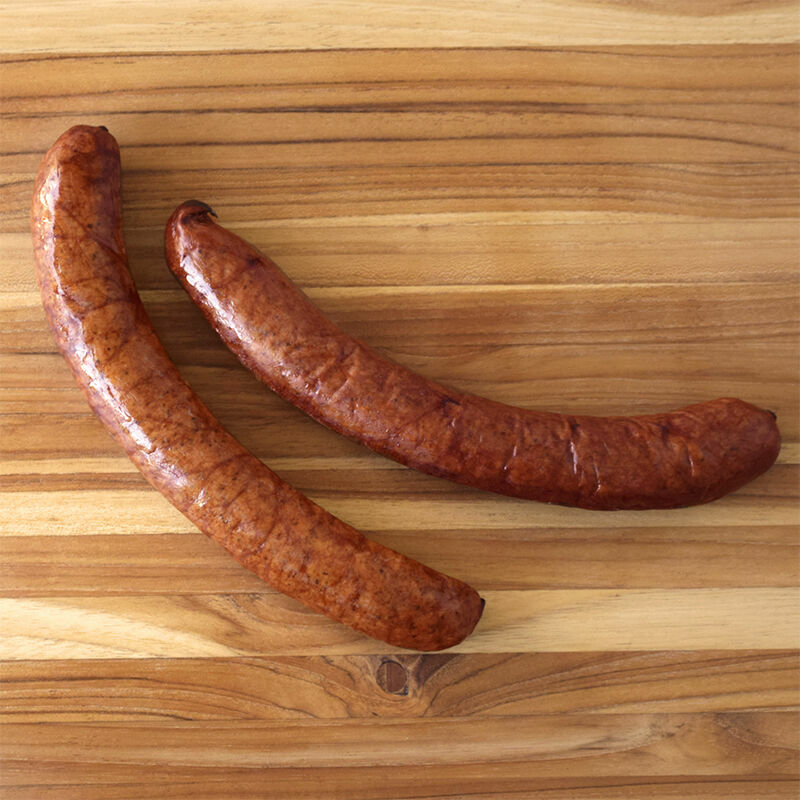 Our fully-cooked, ready-to-eat Cajun-style sausage is made with all-natural ingredients and smoked over real hardwood. 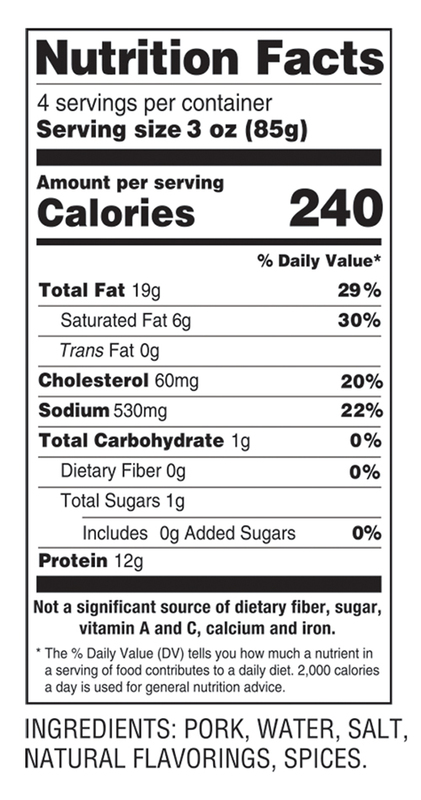 There are no liquid smoke flavorings, artificial additives, nitrates or nitrites in our all-natural andouille. D’Artagnan’s popular andouille, like our paprika-flecked chorizo, comes fully cooked and ready to be tossed into gumbo, jambalaya or even lentil soup. It has a collagen casing that is safe to eat, and there is no reason to remove this casing before cooking. You can easily char it on the grill and serve andouille like a hot dog. Try it sautéed in what is called “the holy trinity” in Cajun and Creole cuisine: bell pepper, onion and celery. Andouille brings its hearty, smoky heat to any dish, whether scrambled eggs, rice or pasta dishes, soups, grits or braised greens. It’s especially delicious with seafood—lobster, shrimp, scallops—and is also perfect for a clambake. Try it chunked and threaded on skewers with jumbo shrimp or scallops. Simply sauté or grill a few links for a hearty centerpiece to an easy dinner. Show a little link love and pair this sausage with a bottle of India Pale Ale or fruity Hefeweizen to cut its heat, or a bottle of Rioja to amplify the natural smokiness.